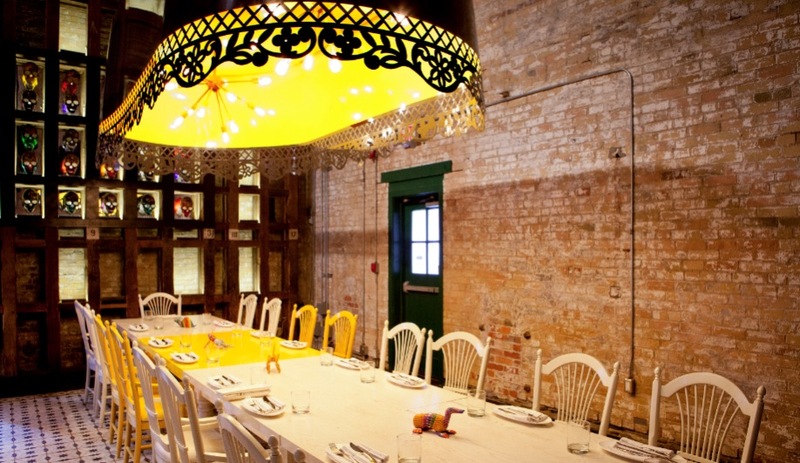 Munge Leung outfits El Catrin, a new eatery in Toronto’s old-timey Distillery District, with playful furnishings and electrifying artwork that conjure the Day of the Dead. Located east of Toronto’s downtown core, the Distillery District boasts a collection of thoughtfully restored Victorian-era buildings – the historically protected structures of the Gooderham & Worts whiskey company, which was shuttered in 1987. 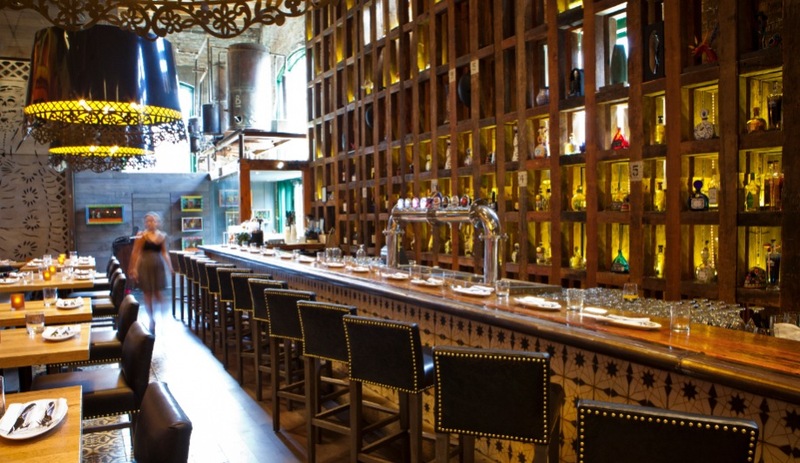 Though the pedestrian-only neighbourhood is popular mainly for its artisan shops and galleries, it has recently been refreshed with the arrival of designer fashion boutiques and beauty bars, as well as El Catrin, a Mexican restaurant serving up tapas style tostadas, burritos and tacos that took over the former site of the iconic Boiler House restaurant. 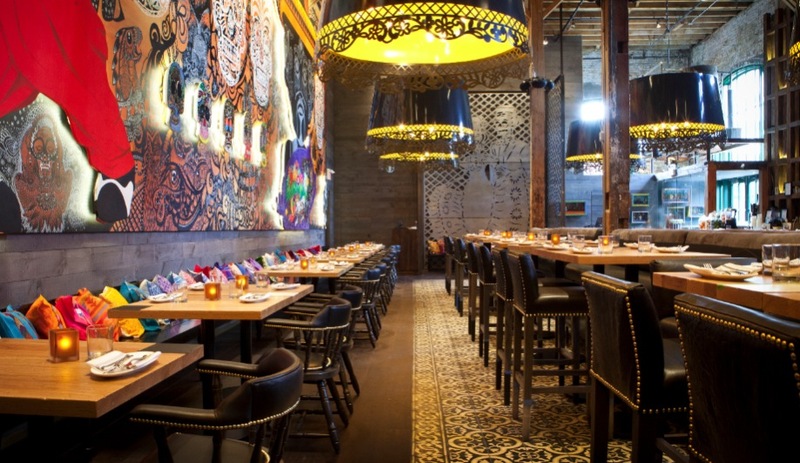 Though the proprietors of El Catrin kept the bones of the original establishment, Toronto’s Munge Leung went big and bold in revamping the interior. 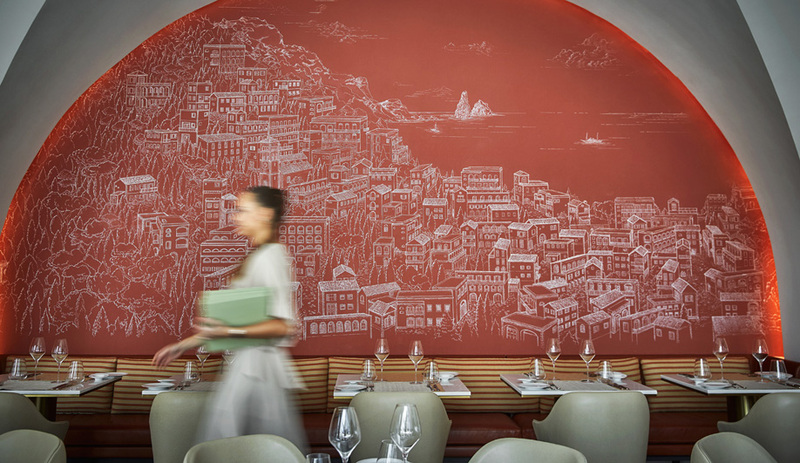 The firm, responsible for several trendy Toronto restaurants (including Weslodge, La Société and Gusto 101), took inspiration from Mexican street artist Oscar Flores, who painted a massive mural spanning an entire wall of the eatery. 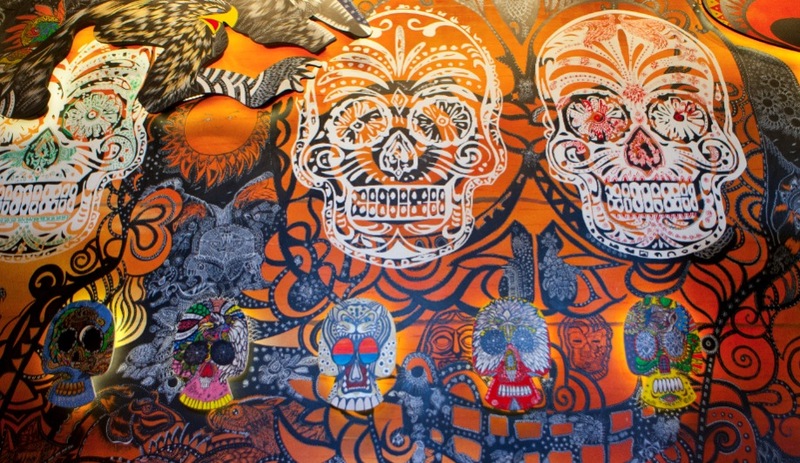 Its cartoon-like imagery evokes decorative skulls and the kinds of flora and fauna one might encounter in the Chihuahuan Desert. 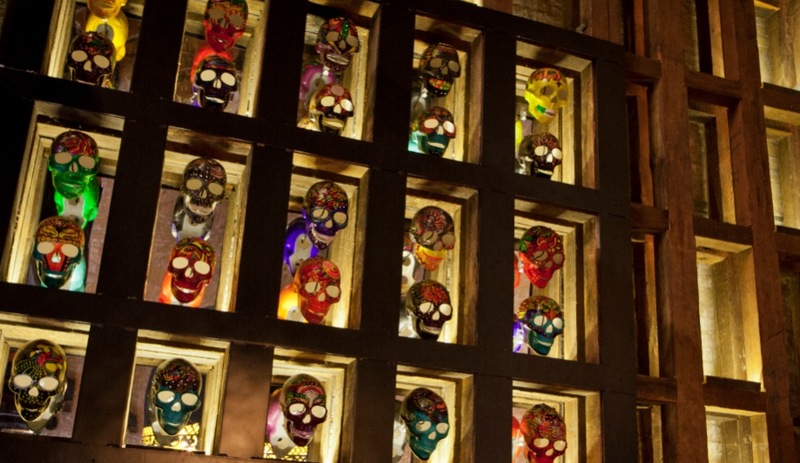 The tastefully macabre symbols – including a perforated metal screen depicting the ghastly couple El Catrin and La Catrina, all dressed up to attend Day of the Dead festivities – recur throughout. 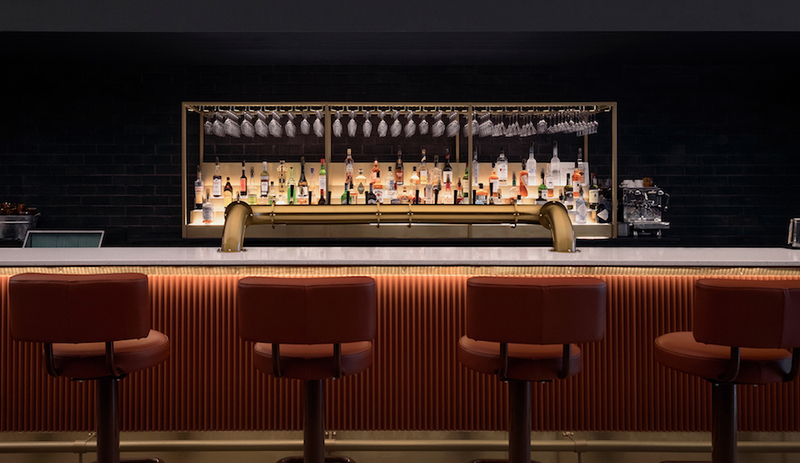 Mosaic tiles in blue and white cover the floors and clad the side of the bar. 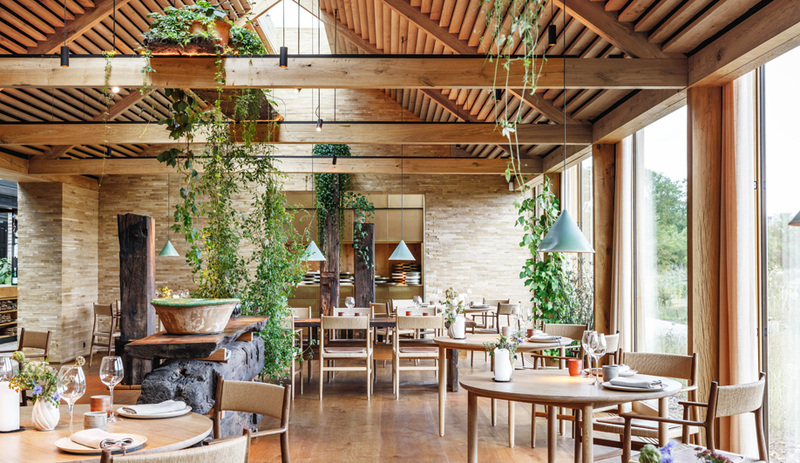 At the end of the expansive dining room – furnished with wooden tables, studded leather chairs and plush banquettes – is a private area with a long Shaker-style dining table and chairs. One section of the table is painted in vibrant yellow with four matching chairs, lending a contemporary touch to the traditional furniture. Upstairs, another enclosed area, this one reserved for private gatherings, features a blue and red palette. 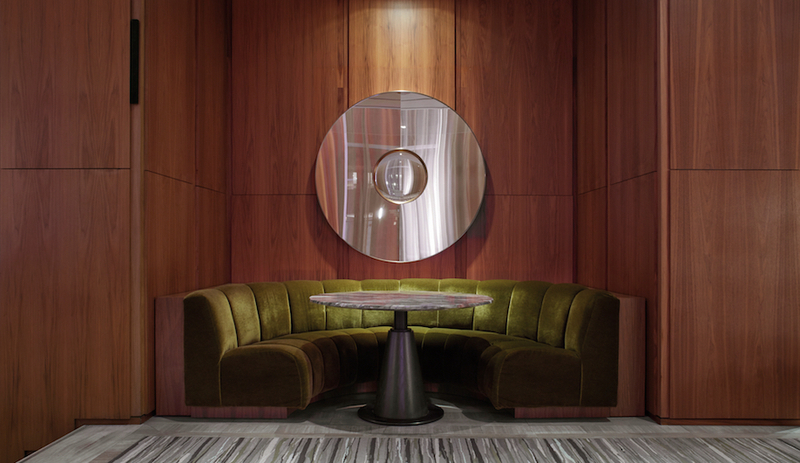 One of the restaurant’s most evocative signature moves is its lighting. 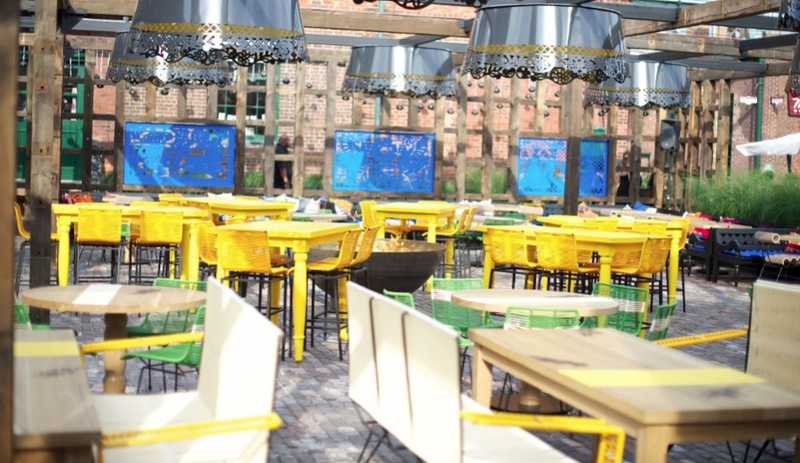 Large black and yellow pendants – made of metal with a decorative shade fringe – hang from wooden beams throughout the restaurant and above the outdoor patio, which is equally vibrant. Here, the eclectic mix of modern and antique-y patio seating in wood, metal and woven textile is jazzed up by mosaic tile backdrops and anchored by a central fire pit. 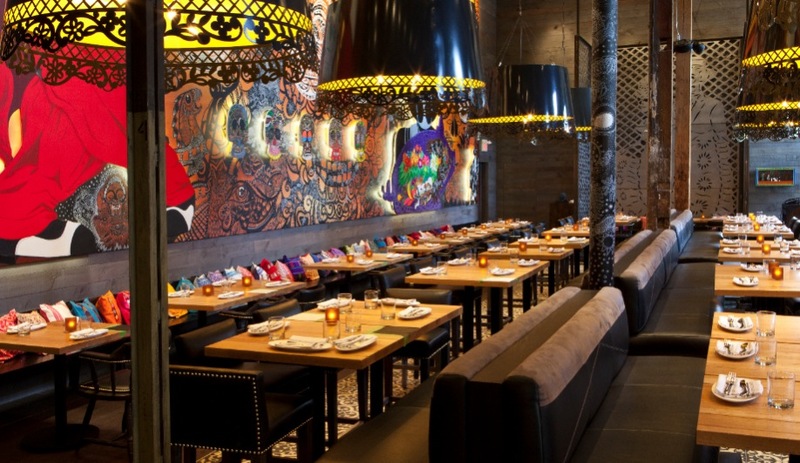 The square cushions on many of the benches draw bright shades from Flores’s mural, playing up El Catrin’s vibrant aesthetic.